If you're in the commercial loan business, the history of our industry is important to you. Commercial real estate finance ("CREF") tends to repeat certain cycles. Mark Twain said it best, "History doesn't repeat itself, but it does rhyme." How commercial lenders reacted to periods of soaring interest rates, periods of declining interest rates, and periods when commercial real estate plummeted by 45% is a strong indicator of how they will structure their commercial loans in the future. We will start our six-part journey in the 1960's, at a time when the United States was still on the gold standard, and inflation was close to zero. Back then there was no organized secondary market for commercial loans. If a bank or life insurance company ("life company") made a commercial loan, it was a portfolio loan. A portfolio loan was a commercial loan that the lender intended to keep in its own portfolio for the entire term. Portfolio lending was liberating. When a commercial lender made a portfolio loan, it was lending its own dough. The commercial lender didn't have to meet any rigid, outside underwriting criteria. For example, if a bank felt comfortable making a third mortgage on a land lessor's interest in a shopping center site, the bank was free to make the commercial loan. How could a third mortgage on land ever be prudent? Suppose a former land owner leased his unsubordinated land (there were no mortgages in front of it) to a shopping center developer for a 99-year term at $10,000 per month. The developer then built a $10 million shopping center on the land. If the developer ever failed to make his $10,000 per month land lease payment, the land lessor could "foreclose" on his lease and own the $10 million shopping center free and clear! The problem with commercial lending back in the 1960's was that commercial real estate lenders only had a limited appetite for commercial loans. There were just three major types of commercial real estate lenders back in the 1960's - life companies, commercial banks, and savings and loan associations (known as "S&L's" or "thrifts"). A savings and loan association was a special type of bank that was only allowed to make real estate loans. They did not offer checking accounts. They could only offer savings accounts. S&L's were not allowed to make business loans, car loans, personal loans, or credit card loans. Instead, thrifts just made long-term real estate loans. Interest rates on deposits were regulated back then (Regulation Q). A giant bank like Bank of America could not offer higher CD rates than a local one-horse, small-town bank. However, thrifts were allowed to offer certificates of deposit that were 25 basis points (one-quarter of a percent) higher than commercial banks. The idea here was to encourage savers to keep their long-term savings in savings and loan associations, which would then use these deposits to make long-term real estate loans. Back in the 1960's, there were several thousand S&L's, thousands of commercial banks, and about 300 life insurance companies. Nevertheless, the appetite of these commercial lenders was extremely limited. Why? Because there was no way to sell off a commercial loan in the event of a liquidity crisis. If depositors suddenly started lining up to withdraw their deposits (aka: bank run), a bank or thrift could quickly sell off its home loans to Fannie Mae or Freddie Mac to meet the run. Their commercial loans, however, could NOT be easily sold off because there was no organized secondary market for commercial loans. So in the beginning, every commercial loan was a portfolio loan, and commercial lenders could only risk having a handful of commercial real estate loans in their portfolios. I have been originating commercial loans for over 33 years now, and it has been my observation that commercial mortgage borrowers are very sensitive to points. Commercial mortgage borrowers will gladly pay a slightly higher interest rate, if by doing so they can reduce the size of the loan fee. There is some logic in this position. Many commercial property investors trade up to a more expensive commercial property, one with even more depreciation, every five to seven years. Therefore it makes little sense to spend a lot money to obtain a long-term commercial loan, if that commercial loan is simply going to be paid off quickly. 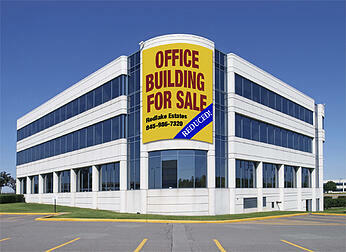 Another example is when a commercial investor has a commercial property for sale. He needs cash now, perhaps to buy another investment property, but his older commercial building simply hasn't sold yet. A commercial bridge loan is perfect for such circumstances, as long as the points aren't too high. A bridge loan is a fast, short-term, somewhat expensive commercial loan used to cover short-term cash flow needs. 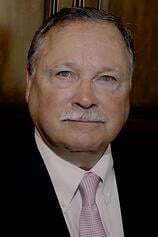 Most commercial bridge lenders will be very interested to hear the borrower's exit strategy. Q: Can I use this program to fix and flip houses? A: Sorry, but no. Home loans pay off too quickly to allow us to make any dough. Q: Will you lend to foreign nationals? Q: Why is the interest rate so high? A: This bridge loan program is designed for borrowers who will only keep our loan for a few weeks or a few months. Q: Can I get a 6-month or a one-year extension for a point or two? A: It's usually not necessary to pay any extra points. If the loan goes past maturity, the interest rate simply goes up some. This way, if your borrower ends up keeping our commercial bridge loan for seven months, he doesn't have to pay some huge extension fee for that one extra month. We pass the entire interest rate increase on to our private investors, so usually they are quite content to keep receiving payments. Q: What types of commercial properties will you finance? A: Apartments, office buildings, retail buildings, strip centers, shopping centers, warehouses, industrial buildings, self storage facilities, hotels, motels, office condo's, commercial condo's, industrial condo's, marinas, health care properties, and gentlemen's clubs. Q: Will you make your commercial bridge loan as a second mortgage? A: We would be willing to consider a commercial second mortgage, but usually the underlying bank would prohibit our second mortgage. That being said, it wouldn't hurt to ask the underlying commercial bank if it would allow us to make a new commercial second mortgage. Got a deal? Please call Tom Blackburne, loan officer for Blackburne & Sons, at 574-210-6686 or email him a package at tommy@blackburne.com. One of my loan officers brought up an interesting issue today. He was afraid to work a commercial loan lead on a California commercial property because the mortgage broker controlling the deal was licensed in another state (let's say New York). The issue of licensing for commercial loan brokers is not as clear cut as one might think. There may be some shades of gray. Now be careful here. I am not writing today as an attorney expressing a legal opinion. I am just throwing some thoughts out there as a practicing commercial mortgage broker. Do NOT rely on this article! Let's suppose the borrower is located in New York, as well as the mortgage broker. The property is commercial, rather than residential, and it is located in California. Let's also assume the borrower is a repeat customer of the New York mortgage broker. In other words, the New York mortgage broker is not actively soliciting commercial loan business in California. It just so happened that one of his repeat commercial mortgage borrowers happened to own a commercial property in California. Could the New York broker legally broker the commercial loan to a California bank? Probably not. 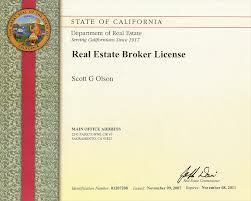 The New York mortgage broker is not legally licensed to arrange commercial loans in California. He does not have a California real estate broker's license. To make or arrange a commercial loan in California requires either a California real estate broker's license (or a California Commercial Finance Lender's License?). As a result, in the chain of players, borrower - mortgage broker - lender, there is no licensed California real estate broker protecting the borrower. However, could the New York mortgage broker take this commercial loan to a licensed California real estate broker (Blackburne & Sons is a licensed California real estate broker) and co-broker the deal? Very possibly so. The New York mortgage broker arguably could "associate in" a California real estate broker. Attorneys do this all of the time. A New Jersey attorney, handling a one-off* legal case in Maryland, is legally permitted to "associate in" a Maryland attorney and do most of the work on the case himself, even though the New Jersey attorney is not licensed to practice law in Maryland. Okay, so under what conditions might "associating-in" a California real estate broker possibly be legally permitted? The New York mortgage broker is legally licensed in New York - be it a real estate license or a mortgage broker's license. The borrower is a New York resident. The property in question is a commercial property. The New York mortgage broker was not advertising for commercial loans in California. If he is advertising on the internet for nationwide commercial loan business, this could be an issue. The New York broker's position would be even stronger if the property was owned by a corporation or LLC. The argument here is that the California Bureau of Real Estate is charged with the responsibility for protecting natural persons residing in California, rather than LLC's created by wealthy, sophisticated investors residing in other states. This was clearly a one-off deal, where an existing New York resident, who had done business previously with the New York broker, just happened to own a commercial property in California. The New York mortgage broker had not done any other commercial loan business in California ever. Under the fact pattern described above - in the extremely unlikely case that the California Bureau of Real Estate chose to make an issue out of it - the New York mortgage broker, using the common practice among attorneys described above, would have an extremely defensible case. As a practical matter, the California Bureau of Real Estate has far more important bad actors to chase than to pursue this well-intentioned New York mortgage broker for arranging a one-off commercial loan in California for his repeat New York client. But do all of the stars have to line up exactly? Does your California commercial loan have to meet all seven of the above conditions? Maybe not. For example, most states, including Indiana, do not even require a mortgage broker's license to broker commercial loans. How can an Indiana commercial mortgage broker get a license that does not even exist? However, states like New York (commercial mortgage broker's license) and New Jersey (New Jersey real estate broker's license) do require licenses to regularly broker commercial loans. Not having that license could be determinative for a New York or a New Jersey mortgage broker. What if the borrower is not an existing client, but rather a brand new customer? Well, is this New York commercial borrower a complete stranger or did the New York mortgage broker already know the guy? It would help if the New York borrower was the mortgage broker's dentist, a golf buddy, or a Rotary Club brother. There are lots of shades of gray here. What if the New York mortgage broker had closed one other commercial loan in California this year with a different out-of-state borrower? That would probably be okay. But what if he had already closed two commercial loans in California this year? Well, how many commercial loans does the New York mortgage broker close per year? Forty? If most of them (67%?) were in New York state, he might be okay. Clearly he is primarily in business to close commercial loans in New York. But what if the New York commercial mortgage broker had already closed three loans in California this year, and now he proposing to close a fourth? It's starting to sound like this New York mortgage broker regularly closes commercial loans in California. I could envision the California Bureau of Real Estate raising a serious objection at this point. "Get a license, Mr. Broker. Until then, cease work!" *The term, "one-off", means a one-time deal with little chance of repeating.